As you research opportunities and take part in interviews, be aware of fraudulent job postings or predatory employers. The following are a few questions to consider. If you answer“yes” to any of these questions, you should be cautious. Does the posting or hiring manager promise a large salary with minimal work required? If it seems to good to be true, it probably is. Does the hiring manager offer you a position without talking or meeting with you? Legitimate employers will want to meet you in person before hiring you. Does the hiring manager use a personal email address or an address that does not match the company name? Hiring managers and recruiters will always use an official company email address. If you are contacted from a personal email address, there may be cause for concern. Does the position expect you to transfer or wire funds between accounts? Legitimate employers will never ask you to transfer or wire funds on their behalf. Has the company sent you a large check and requested you cash it using your personal account? An employer will never ask you to cash or deposit a check using your personal bank account. If an employer asks you to cash a check against your personal bank account, stop all communication immediately. Has the company or hiring manager asked for personal information like a social security number or bank account? Employers should never ask for your personal information before you have become an official employee. If any of these warning signs come up in your job search, notify CCE immediately so we can help investigate. 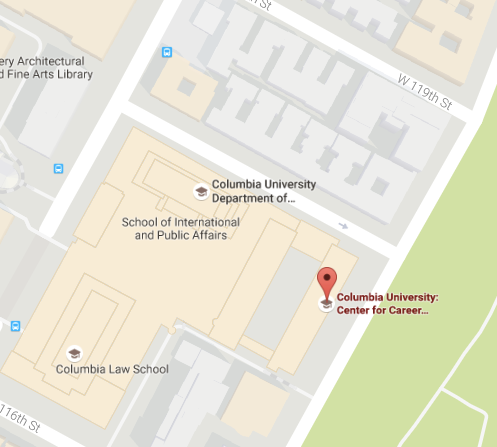 Call us at 212-854-9167 or careereducation@columbia.edu. For more information visit The Federal Trade Commission Consumer Information on Job Scams. Columbia University Public Safety. Please contact Public Safety’s emergency line (212-854-5555) if you feel you are in immediate danger. Use the non-emergency line to report incidents that do not pose an immediate threat ( 212-854-2797). Federal Bureau of Investigation Internet Crime Complaint Unit accepts reports of job scams and provides instructions for filing a complaint. U.S. Department of Justice accepts reports of job scam incidents that have occurred over the Internet. Remember to trust your instincts. If communication with an employer or company feels suspicious, end the communication immediately. Report fraudulent activity to the Center for Career Education immediately at 212-854-9167 or careereducation@columbia.edu.